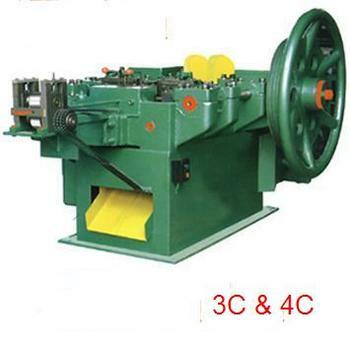 The nail making machine is used for producing various common nails and special nails. 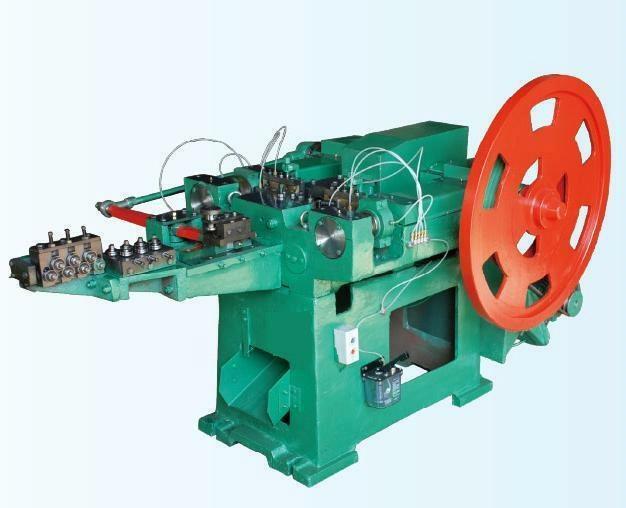 It has wide uses, simple operation, and reliable run. We can supply various machine parts and necessary fine auxiliaries for you. is low on energy usage and has high efficiency , and also turning angle . In other words, many people can get rich quickly by using such a machine due to the economic and practical implementation, high technology, convenient operation and use . It has low power consumption, energy saving ability, and stable and reliable performance. ideal project for enterprises, individuals, families, laid-off workers and farmers' friends to invest quickly. 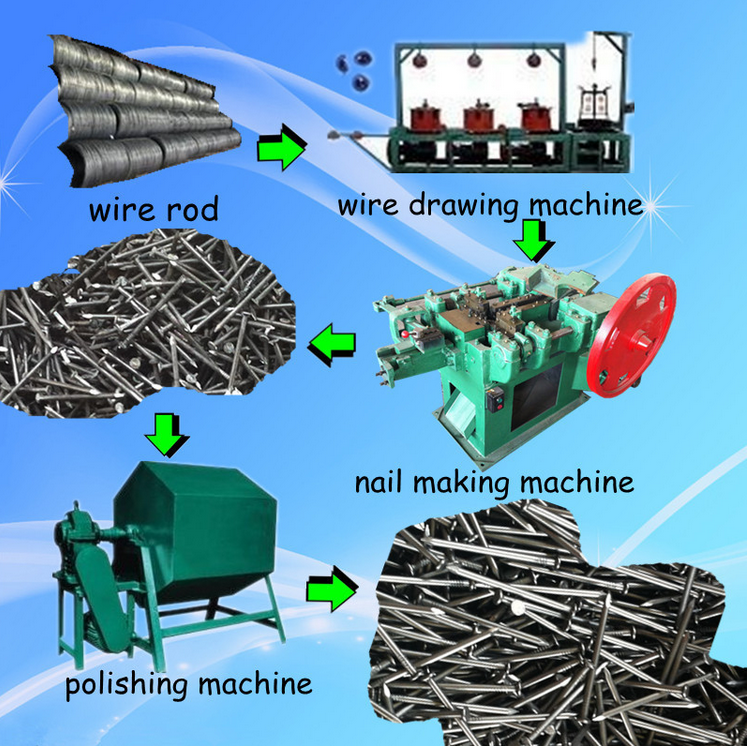 businesses which can be very risky, the cost to run a nailery is almost zero , because the basic material is scrap steel. 2, the scale of investment can be large or small, urban and rural areas can invest: small-scale production requires only 50 square meters , a simple factory shed can surfice . City residents who wish to invest in a nail machine, can choose to scrap the old factory on the outskirts of the city,courtyard, rent is low; farmers' investment, in the courtyard can to be put into operation. Stores often require high rents compared to nail making ventures, so investing in a nailery can save a lot of money. How to make the nail ? Yes, we can export by ourself .